Is Josh Hamilton still a role model? 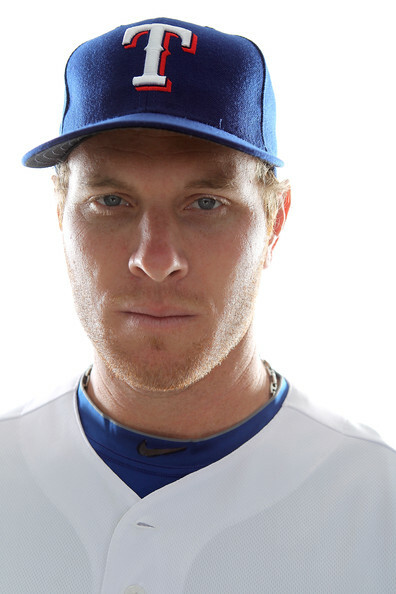 The big news in the DFW area the past week has been the relapse of Texas Rangers outfielder Josh Hamilton. Hamilton has a long history of drug and alcohol addiction and just recently admitted in a press conference that he had gone out and drank one February evening and brought pain to his family, friends and fans. I have heard many opinions regarding his relapse on talk radio and there seems to be a theme that is constantly recurring. Is Josh Hamilton still a role model? In addition to being an all-star and former MVP of major league baseball, Josh is also a devout Christian and uses his baseball fame to promote his faith. Even more, he proclaims that it is his faith in God that allows him to experience freedom from his addictions. To be sure, his past is one that needed redemption and his comeback story is remarkable. Still the question remains…in light of his recent failure, is he still an example to kids, addicts, anyone? I guess that depends on your point of view. For me the answer is certainly yes. In fact, I would say he might be the best example in the public eye of what it looks like to actually live out your faith in the world. I think that most of us believe that we are not perfect. Most of us admit to shortcomings in our life. And yet at the same time most of us hold to some type of spiritual belief system that we gain strength from or even believe can change us. Why is it then that even though we believe all of these things can exist together inside of ourselves, we don’t believe that they exist together inside of someone else? Especially a celebrity. Maybe the problem is that Hamilton has been so strong in espousing his belief in God. Would it really have been necessary for him to hold a press conference to tell us that he had a few drinks one night if he hadn’t claimed so loudly that God is the one who enables him to stay sober? Maybe this is why so many people don’t have the courage to state their beliefs at all. If you say tell your co-workers that you follow Christ then you have to live up to it. One slip up and you risk ridicule, you risk judgement, you risk isolation. Seriously, which takes more courage – stating what you believe and trying to walk it out or staying quiet and living however you want? Plus, the bonus for not speaking what you believe is that you get to call anyone who “sins” a hypocrite. This is why I believe that Josh Hamilton is a role model. I don’t think Josh has made his last mistake and I know I haven’t. I think he will have to ask forgiveness again and I know I will. He states what he believes, he attempts to live by it, and asks forgivness when he doesn’t. There are fewer and fewer people doing that these days. May I have such courage. More interesting things than this coming soon, but since you’re I could use your opinion . . .
What do you think of our new web digs at digitalbrandmakeover.com? Cycling is a passion of mine. I love it. Time spent on my Cannondale Synapse Carbon is always worth it. I started small. It wasn’t long ago that 10 miles seemed like an eternity and I was happy to average about 11mph. It also wasn’t that easy to get into the sport because the people who were good at it didn’t really make it accessible to others. You see, if you walk into a really nice bike shop and don’t already know what a rear derailleur is and why you need one on your bike then you have a 1 in 2 chance of getting treated like you’re stupid, worthless and generally not a “good match” for cycling. If you can’t ride 70 miles at 18mph then you really shouldn’t join “our ride.” It’s sad too because the people who have the most to offer to someone new to the sport are often the people least likely to offer it.